Belle Noir Magazine | Big. Beautiful. You. : Q&A of the Week: Et Tu, Phat Girl? 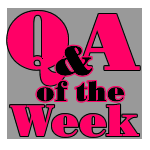 Q&A of the Week: Et Tu, Phat Girl? If your favorite plus size celebrity had WLS, would it change your opinion about how you viewed them? Why or why not?